When I think of Valentine’s Day, I immediately envision heart-shaped sugar cookies, cupcakes with pink frosting and chocolate upon chocolate upon chocolate (and of course my husband). Valentine’s Day, like most holidays, is the perfect time to splurge on savory meals and decadent desserts. It’s an excuse to get cozy and romantic during the dreary months of winter. My waistline is the last thing on my mind. I’m sure it’s one of the reasons so many people bail on their New Year’s resolutions. 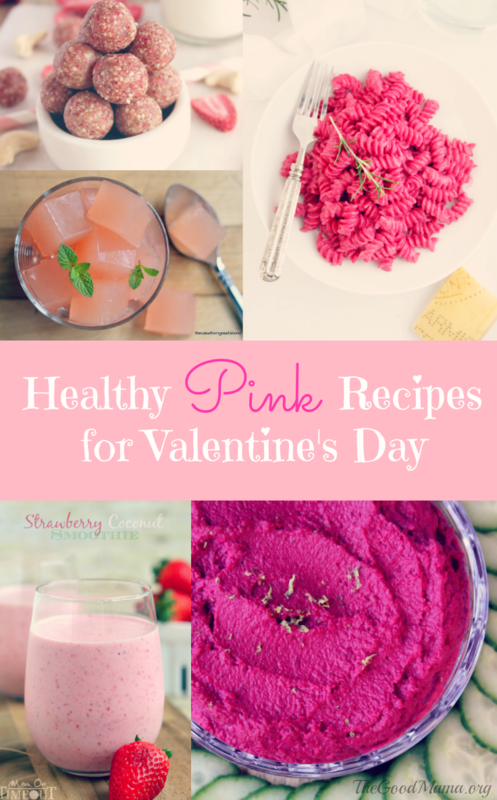 Well, I’m happy to say that after searching high and low, I’ve found some healthy, pink recipes that are sure to be big hits this Valentine’s Day. This list includes desserts (of course), small bites and even main courses all beautifully rose-colored. I shared my Beet Hummus a few weeks ago, and I still can’t get enough of this dish. It’s such a yummy, healthy alternative to other veggie dips. My son is obsessed with yogurt right now. He also hasn’t met a berry he hasn’t loved. What could be better than combining the two? Dip strawberries into yogurt and freeze them for an easy, tasty snack for you and your toddler. Check out a tutorial on Big Bear’s Wife. You can also snack on pink veggies and fruit. Try cutting radishes into a heart shapes or munch on some juicy strawberries, raspberries, cherries or pink lady apples. Grapefruit is such a pretty pink fruit. This Everybody Loves the Sunshine Citrus Salad from My New Roots looks like the perfect dish to brighten up a cold, winter day. Radishes are another beautifully pink vegetable. You could eat them raw with a little butter and salt or try them in my spicy Black Bean and Radish Salad. Throw together a Pink and Green Fruit Salad with watermelon, strawberries, and granny smith apples as seen on Pretty Yummy Foods. First up is this beautiful Pasta with Creamy Roasted Beet Sauce from Bell’alimento. I love cooking with beets because they turn everything into such a vibrant color. This pasta is no exception. You could also whip up a tasty salmon dish since salmon IS pink. This Salmon with Grapefruit-Pink Peppercorn Glaze from Jan’s Sushi Bar sounds absolutely amazing. What about searing up some fresh tuna steaks for a show-stopping Valentine’s dinner? This Seared Ahi Tuna Steak with Wasabi Sauce from Paula’s Healthy Living sounds delicious. With only five ingredients these Strawberry and Cream Cashew Cookie Bites from Better with Cake are easy to make and an oh-so-pretty shade of pink. My son loves his freeze-dried fruit, so I can’t wait to try these out. Grapefruit is one of my favorite flavors, so I can’t imagine not loving this Homemade Fresh Grapefruit or Pomegranate Jello from The View from Great Island. Or, you can dip strawberries in some melted dark chocolate for some good antioxidants. Head over to Fed & Fit for 5 Tips for Perfect Dark Chocolate-Covered Strawberries. I can definitely get on board with this Raspberry Almond Chia Smoothie from DelightfulE Made. It’s all of my favorite flavors packed into one amazing drink. Or, you can try this Strawberry Coconut Smoothie from Mom on Timeout. Strawberry and coconut- what a great combo! What’s Valentine’s Day without a little alcohol? Try this Sugar Free “Skinny Girl” Strawberry Mint Spritzer from Linda Wagner. 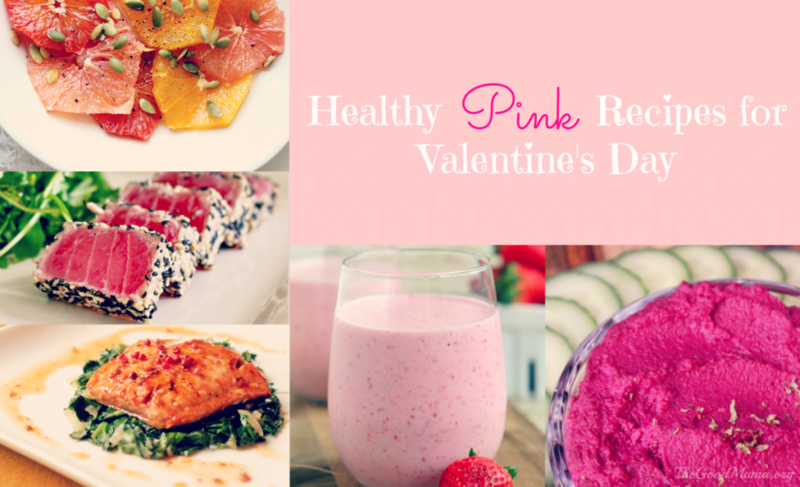 Do you have any healthy pink recipes to share? Let me know in the comments below! Follow Tricia The Good Mama’s board Happy Valentine’s Day on Pinterest. Love these! They look so yummy – especially the beet hummus and past! One of my favorite healthy, pink recipes to enjoy are pink potatoes that my family makes during Christmas! This is so cute! Thank pink pasta looks so good! Your hummus looks fantastic! That is most beautiful shade of pink. I’m trying to eat healthier and would love to try that raspberry almond chia smoothie. Thanks for such great recipes. Such great ideas! We are having a kids Valentine’s party and I think they would love the strawberries dipped in yogurt! This are all cute. The smoothie looks delicious. I would have regardless of V-day. You are so creative! I LOVE this idea! 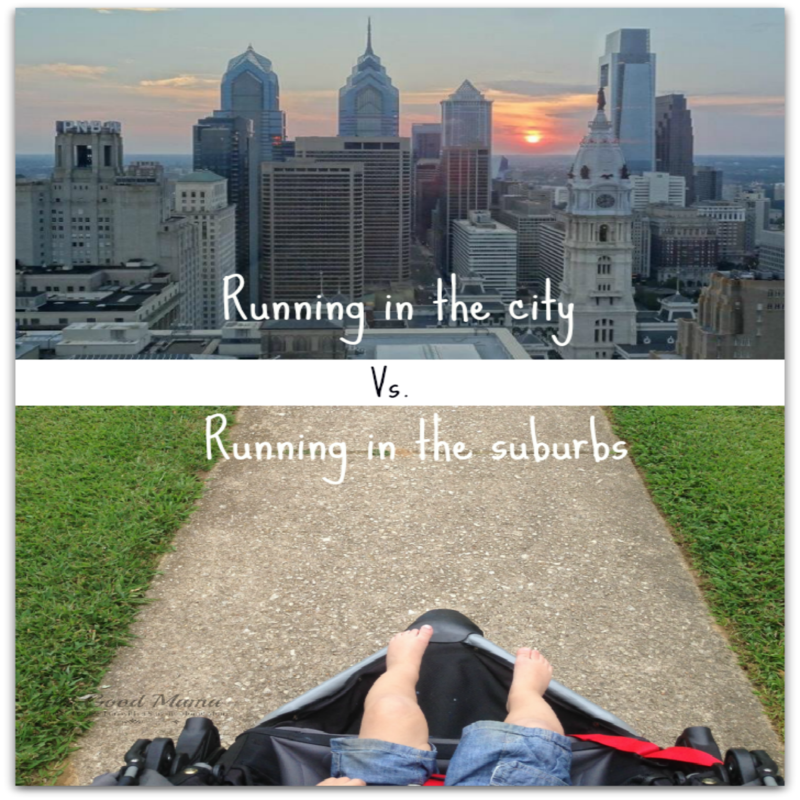 Pinning and stumbling! Omg now this is my kinda post!!! All pink foods!! Ahhh… So soooo Fabulous! Our daughter’s favorite color is pink. We will have to try some of these out. I missed your beet hummus recipe before. I am off to check it out now! I love pink anything! That pasta is hysterical I love that too. Thanks for sharing these! haha Don’t worry, Nicole, I’m sure I’ll have plenty of sweet stuff to eat on Valentine’s Day! I did include a pink cocktail at the bottom though! HI. I love beets, too. I just don’t like that they stain my hands. I may use this for my healthy Valentine’s Day post…I will keep you posted. Met you through #sitsblogging. I know! They are the worst with staining things. I just either wear gloves or make sure to wash my hands right away. Thanks for thinking of me for your post. Let me know! This recipe great.I like all time chocolate and pink drinks. This drinks photo awesome.Such extraordinary thoughts! We are hosting a children Valentine’s get-together and I think they would love the strawberries plunged in yogurt! thanks for great information. Great idea Tricia. Lovin it. Its very nice. Thank you so much for sharing with us.